I was surprised the first time I saw Oregon shrimp. I found them packaged in the seafood department at New Seasons........super small, cooked, and peeled. 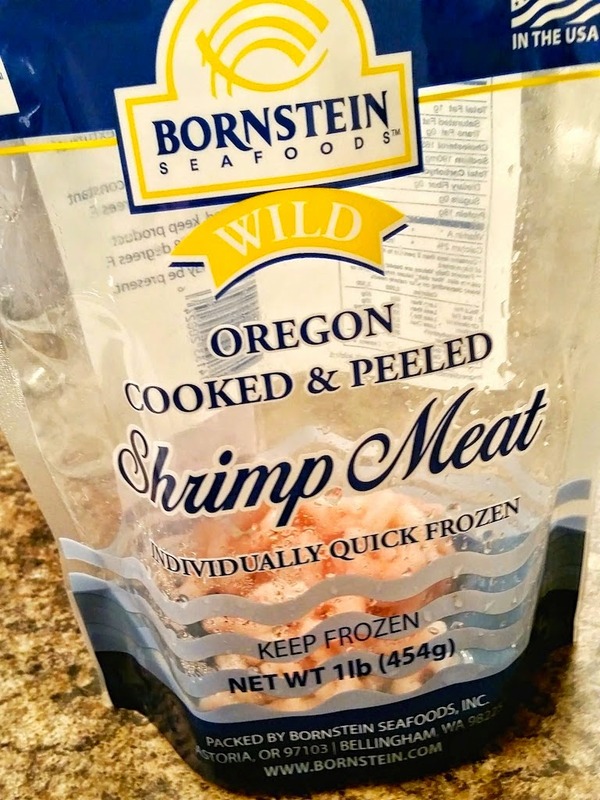 At Fred Meyer, you can find this Oregon shrimp in the frozen section. You see it's all done in Astoria, Oregon and Bellingham, Washington. Very local. Very sustainable fishing practices. 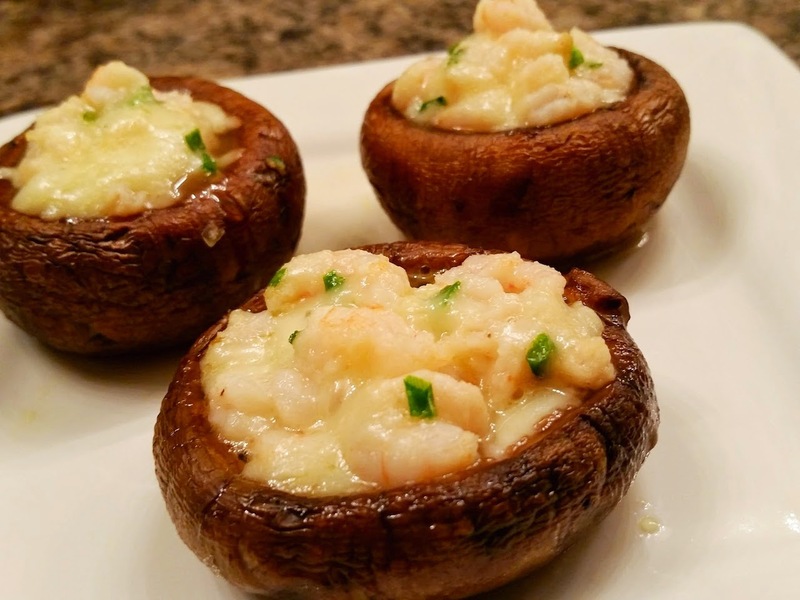 I decided the best way to enjoy these tiny, sweet-ish shrimp: tuck them inside a vessel such as a baby portobello mushroom alongside some freshly shredded asiago cheese and chives. Ten minutes or so in the oven, and they're ready. I can't wait to try some more ways to cook with these Oregon shrimp! Combine the shrimp, cheese, chives and garlic. 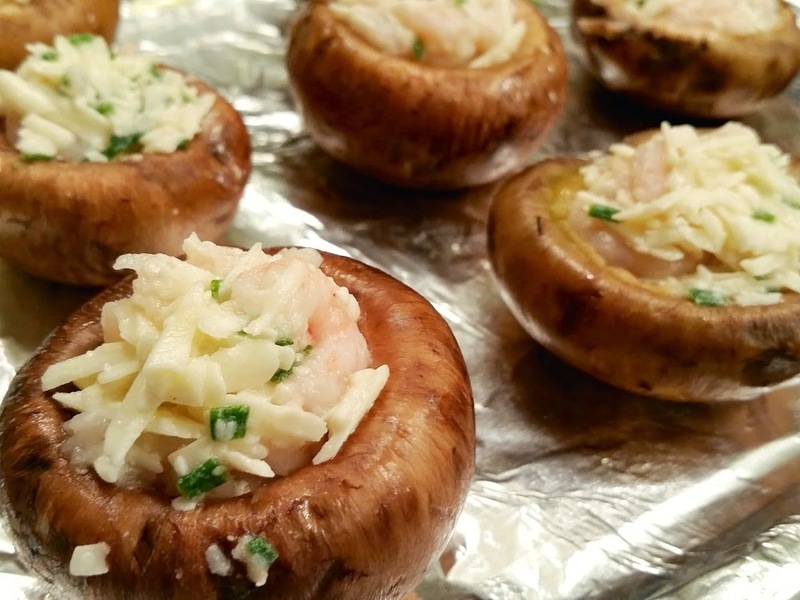 Dip each mushroom cap in the olive oil, then place onto a foil lined pan. Stuff each cap with some of the shrimp mixture. Cook about 10 minutes, or until the cheese is melted.